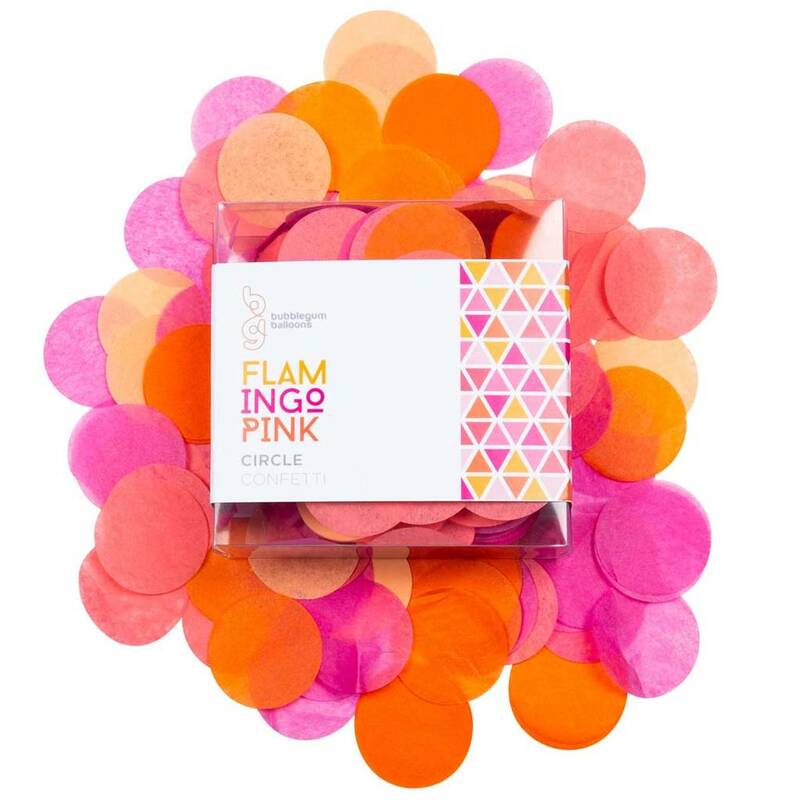 These beautiful confetti filled 11 inch balloons are sent out in a pack of fourteen ready to decorate any party or event. These gorgeous balloons are sent out flat ready to be inflated by you for a party, wedding or any special occasion! Sure to add the 'wow factor' to any occasion. The pack includes a reel of metallic ribbon. Add on a helium canister and weights if you'd like your balloons to float. Please note that our helium canisters are sent from a separate supplier so will arrive separately to your item. Please plan ahead and allow time for delivery in advance to avoid disappointment. Useful tip - partially fill the balloon with air to create static in the balloon to make the confetti stick to the sides! 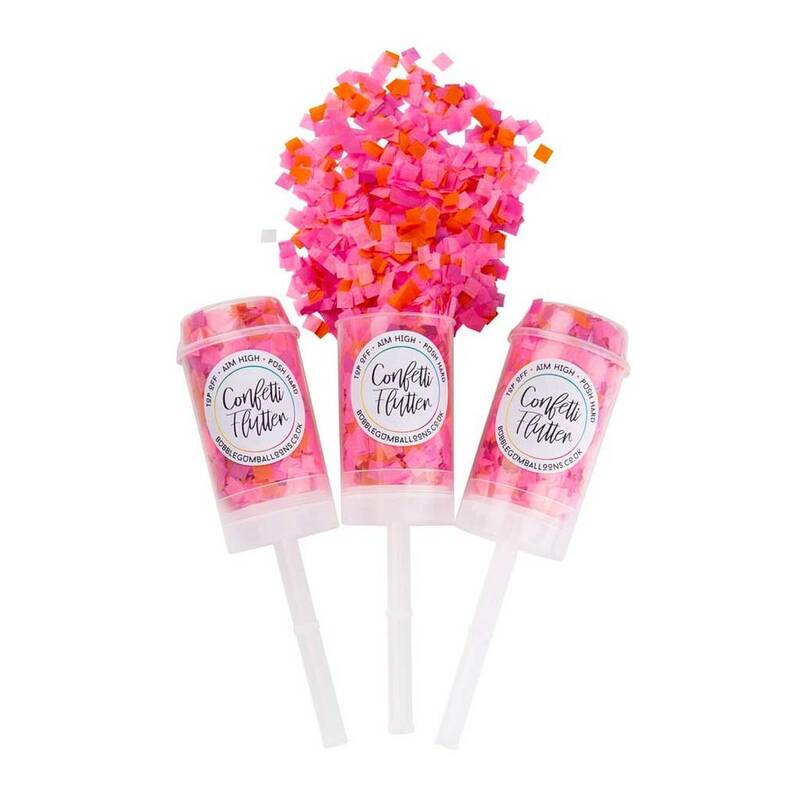 The confetti balloons are available in an array of colours with party balloon packs to coordinate. 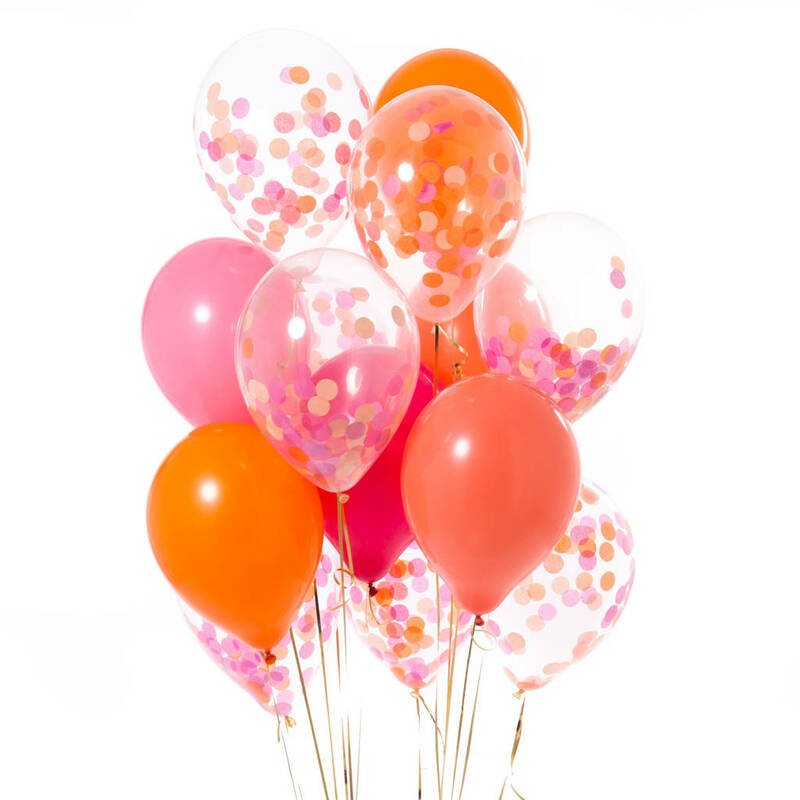 The balloons can be expected to last for a day, for best results we recommend you blow them up a couple of hours before your event so they can be enjoyed at their very best. The balloons are supplied flat packed and can be filled with air or helium. You can choose to add a cannister of helium to your basket with the balloons. These disposable canisters have a latex regulator fitted as standard and you simply wrap your balloon over the end and fill. One of these canisters will fill 14 of these large confetti balloons. The balloon is 11 inches.